Everyone knows how vital it is to have a helping hand when launching your own business. Starting out is rarely a walk in the park, and the path for entrepreneurs is all too often paved with pitfalls. Founders must regularly face up to their doubts and force themselves to leave their comfort zone – and it’s a journey that can be doubly hard for women who set out into the world of business. It’s all a little easier, of course, when you surround yourself with good people. 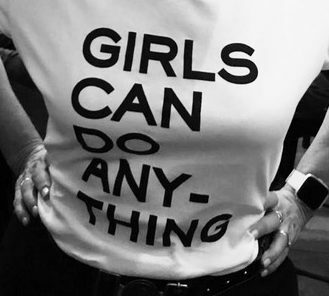 That’s why we want to celebrate our first year of business by supporting other female entrepreneurs: we’re offering two female business owners the chance to receive free marcom strategic advice from us for their business project – be that a launch, or a plan designed to give their existing business a boost. This invaluable coaching and advice will last for six months. For this project, the two founders of marple and moon – Lise and Sophie – have enlisted the help of four other entrepreneurial women who are experts in the field of strategy, communication and marketing. 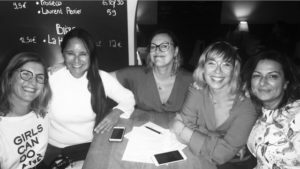 They are Nathalie Erdmanis (AG Insurance), Joëlle Liberman (Egerie Research & Strategy), Heidi Carlens (There agency) and Belen Ucros (Edge communication) and they will work alongside us to select the five best applications (which can be submitted in French or in Dutch). The five entrepreneurs who make the shortlist will then be invited to make their case before the national jury, and from these two winners will be named. To participate, you need to be a female entrepreneur with a suitable project that you feel we can help with that is supported by a business plan. You must also have a launch budget, including provisions for marketing. To impress the jury, the project needs to stand out, be innovative and original with a real USP (unique sales proposal). It should also set out to meet the genuine needs of the consumer. Why did you launch this project? What is the current state of the project compared to your business plan? All entries must be sent by email to hello@marpleandmoon.com by November 23rd. Good luck ladies! We’re very excited to meet many talented women entrepreneur and share this with you along way.